MLS# 190004358 - 8551 Run Of The Knolls, San Diego, CA 92127 - Abacus Properties Inc. Courtesy of Pacific Sotheby’s Int’l Realty, Jeffrey Walker. Perched above the 17th green on the top of Santaluz. Views from Carmel Valley to the Pacific Ocean. Indoor/outdoor living at its finest w/ direct exterior access from almost every room. Infinity salt water pool & jacuzzi. Courtyard features built-in bbq, bar & fireplace. 3 outdoor TVs + putting green top off the entertainment. Gourmet kitchen, exec. office, formal dining & family room, master suite, covered patio w/ heaters. Property boasts a usable 1 acre lot, citrus trees, 4-car garage, private casita.. 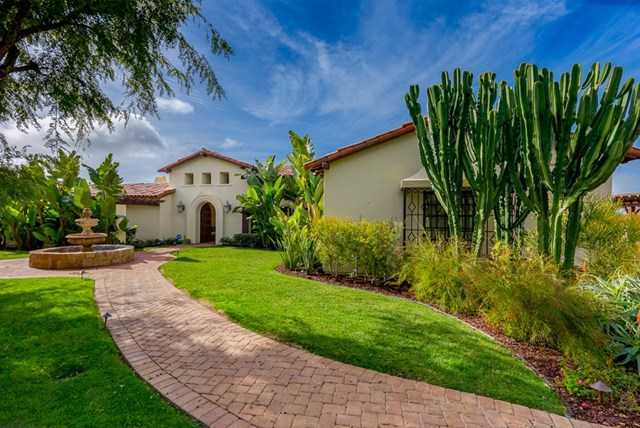 Please, send me more information on this property: MLS# 190004358 – $3,400,000 – 8551 Run Of The Knolls, San Diego, CA 92127. I would like to schedule a private showing for this property: MLS# 190004358 – $3,400,000 – 8551 Run Of The Knolls, San Diego, CA 92127.